Bath time was once fun as children. Today we are bringing the fun back by creating body-loving treats! 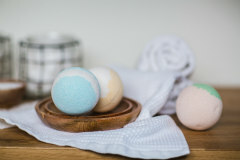 Creating your own bath products with great ingredients that are probably already in your home will bring you hours of fun. You will want to make and share these goodies with your family and friends. All materials included in tuition.